I feel lucky that they still ask for my advice, but my brothers are more than qualified when it comes to the showring and representing our herd. 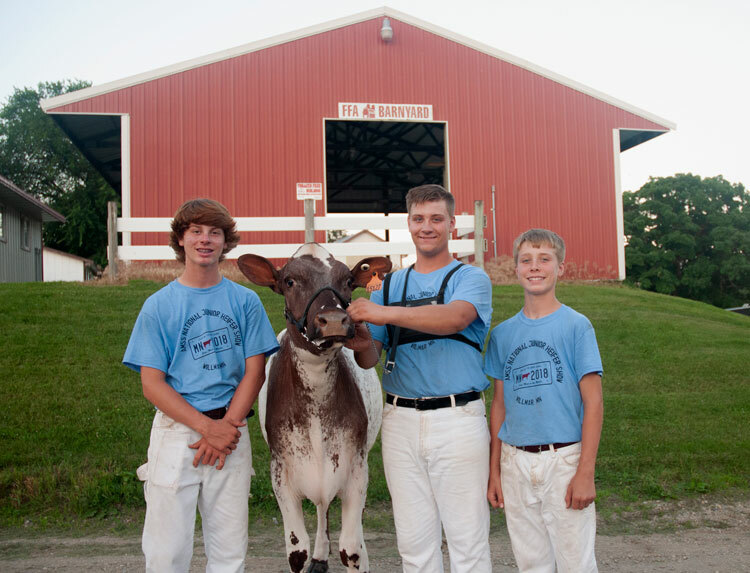 Three of my little brothers exhibiting at the National Milking Shorthorn Convention junior show. L to R: Jack, Cherrywood Special Sauce, Nicholas, and Joseph. Growing up I always enjoyed the time spent off the farm when my siblings and I would go to local and national dairy shows. I especially enjoyed it once I was the oldest one in charge of our setup and herdsmanship. I am no longer running around to shows and breed conventions as much as I use to. But my little brothers, Nicholas, John, Jack, and Joseph are, and they are now the ones in charge of the show string and representing our family’s genetics. This past week, I attended the National Milking Shorthorn Convention representing Hoard’s Dairyman. My mom and three of my little brothers brought six head for the show and three head for the sale. I am not going to lie; it was a little difficult sitting back and holding my tongue whenever I wanted to tell them how to do something. They are a great team and all took charge of different jobs. Jack, my 15-year-old brother, got the steady hands in the family and is better at fitting than anyone else in our family was at that age. He took the lead on clipping the animals and doing all the toplines before the show. Joseph, my 13-year-old brother, was in charge of keeping the animals clean. Yes, he is the youngest, so he has to catch all the poop. 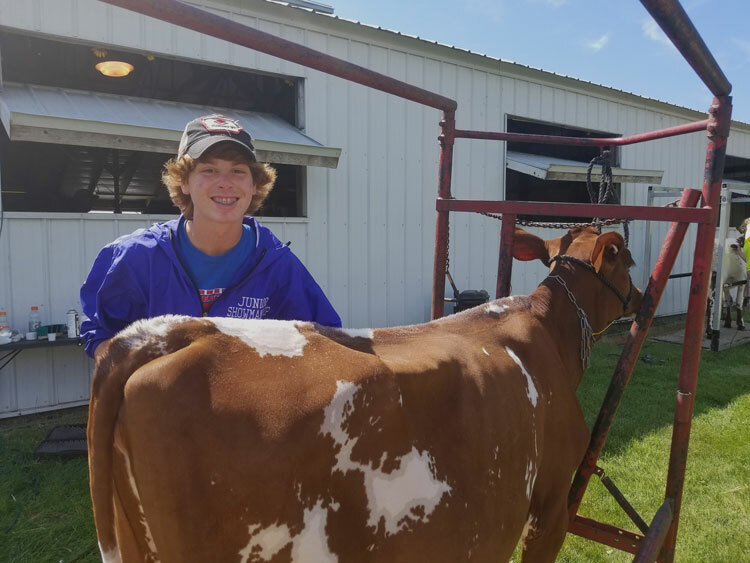 Even though he does a lot of the grunt work he doesn’t complain and tries to learn from Nicholas and Jack about fitting and feeding the cattle before and during the show. Nicholas, my 19-year-old brother, is still making a lot of the decisions, but is away at college for a majority of the year. So, he is probably not as bossy as I was because he knows Jack and Joe have spent more time getting the cattle ready during the year. However, he is integral in our sire selection and making purchasing decisions of new heifers and cows to add to our herd. I do have one more younger brother, John, who is 17-years-old. He often opts out of going to shows to stay at home and take care of the operation. John has taken on management responsibilities on my family’s feedlot and really enjoys it. He knows how much our other brothers enjoy showing and is happy to hold down the fort. 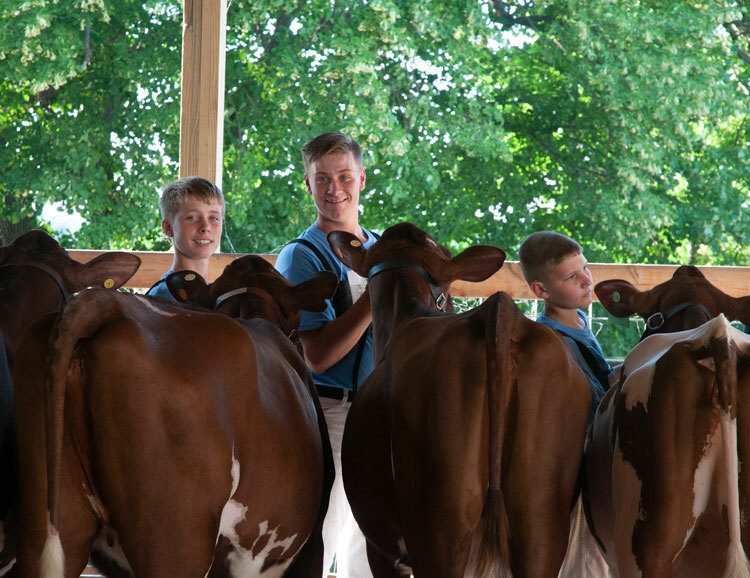 Good luck “little boys” at the rest of your shows and dairy competitions this summer!